Will not dry in the screens. 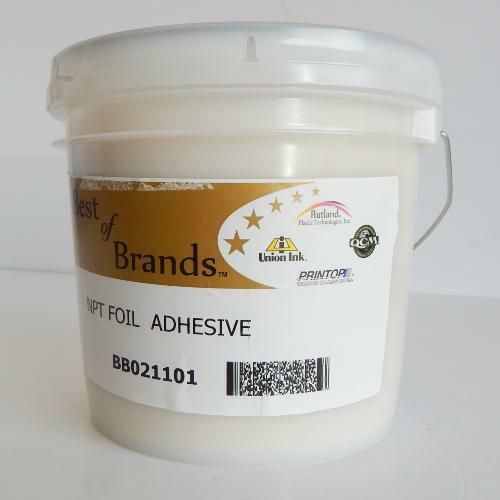 Tips/Directions: Apply one layer of Rutland Foil Adhesive and without pre-drying put in contact with the metal foil.Transfer at 170 degrees C for 15 seconds, allow to fully cool before peeling off. The foil will adhere to the areas where the adhesive has been printed and peel away from the areas left clear.